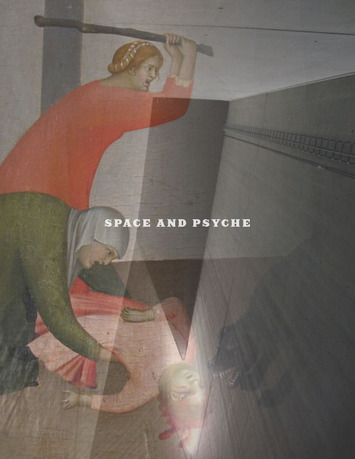 Cover of Space and Psyche, 2012, Austin, TX. All rights reserved. 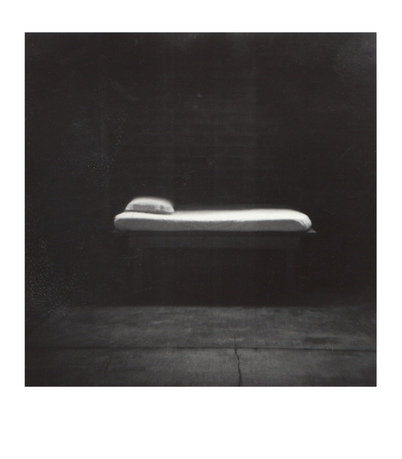 Architecture, beyond mere building, is concerned with promoting emotional well-being through the manipulation of space, light, material, and perspective, while psychoanalytic discourse is replete with spatial metaphors and observations on the emotional tonus of real places. Physical environments, both empty and peopled, real and imagined, concern both disciplines as factors contributing to the emotional health, security and happiness of ordinary people. 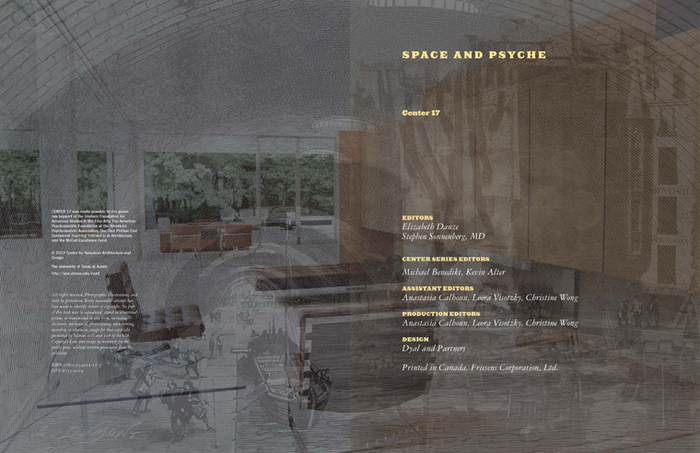 CENTER: Space and Psyche examines the intersection between architecture and psychoanalysis in the interest of promoting a dialogue that enriches both fields. 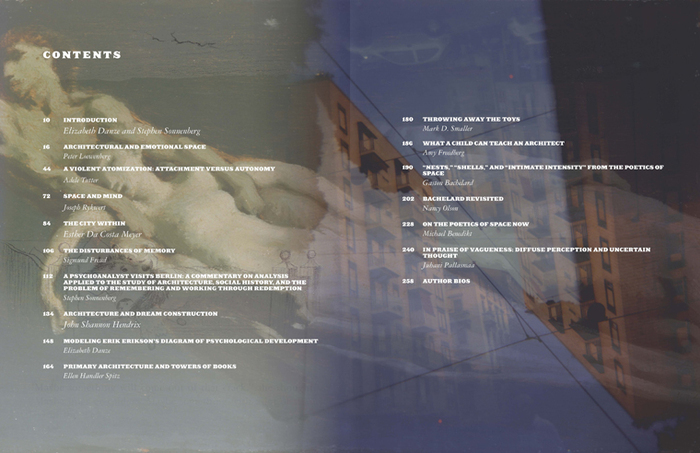 Nine distinguished authors consider the relationship of architecture to topics such as: the recent advances in neuroscience; the impact of our peripheral vision on our unconscious; and the methodology of applied psychoanalysis to understand socio-architectural phenomena such as intimacy or agoraphobia. 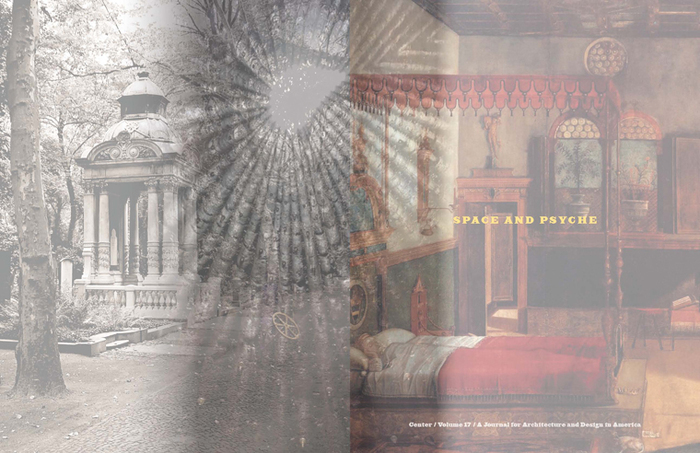 Together, these articles employ psychoanalysis to provide new insights into the function, cognition, reception, and effect of architectural design, and vice versa. Elizabeth Danze is a Fellow of the American Institute of Architects and an Associate Professor at The University of Texas at Austin School of Architecture. She holds the Paul Philippe Cret Centennial Teaching Fellowship in Architecture. She is a graduate of Yale University, where she taught in the School of Architecture Summer Foundation Program. 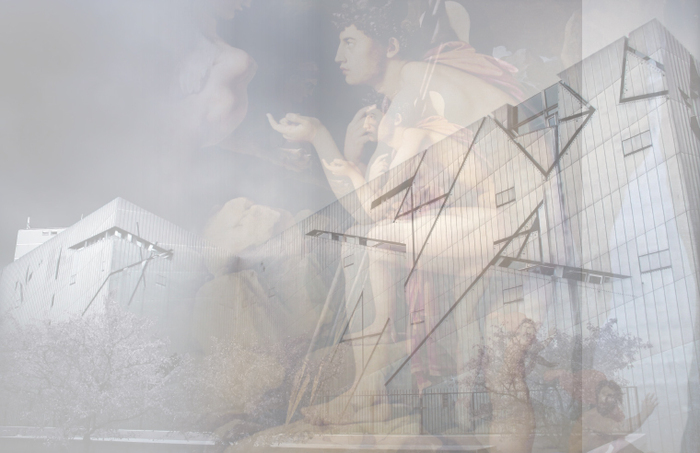 She is a principal with Danze Blood Architects, and her work integrates practice and theory across disciplines by examining the convergence of sociology and psychology with the tangibles of space and construction. Danze is coeditor of Architecture and Feminism and coeditor and author of CENTER 9: Regarding the Proper and Psychoanalysis and Architecture -- The Annual of Psychoanalysis, Volume 33. She is architect advisor to the American Psychoanalytic Association's Committee on Psychoanalysis and the Academy. She is a recipient of the University of Texas System Regents' Outstanding Teaching Award and a member of the Academy of Distinguished Teachers. Founded in 1883, the University of Texas at Austin's mission is to transform lives for the benefit of society through the core values of learning, discovery, freedom, leadership, individual opportunity, and responsibility. 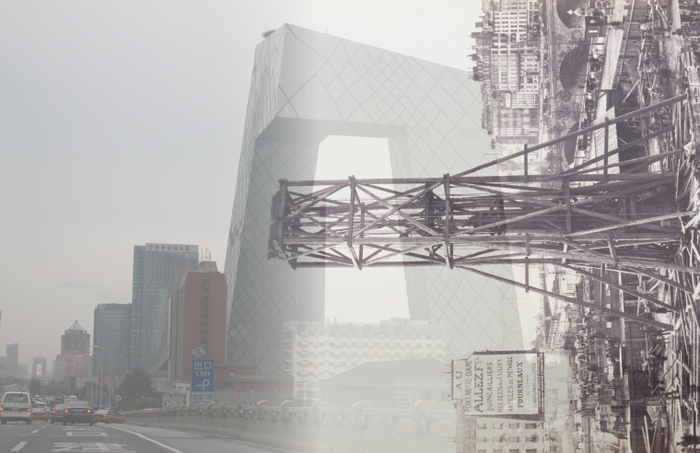 Founded in 1982, the Center for American Architecture and Design seeks to provide scholars, practitioners, students, and others with opportunities to examine contemporary and historical issues in architecture and other related design disciplines, to collect resources on architecture and make them available to scholars and researchers, and to increase public awareness and appreciation of architecture, the most public form of art.